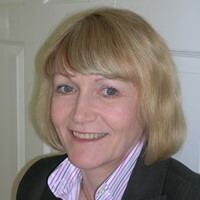 Lynda Moore, a Partner in the Consultancy, FM Contract Watch writes for Infologue.com about the ACS accreditation. Lynda writes: “The Approved Contractor Scheme is now reaching its tenth anniversary, having first been introduced in 2006. However, it is disappointing to find that some buyers of security services still do not appreciate the relevance of the accreditation and, even when they do, many do not know how the contractor scoring works and what is involved in the annual inspection by the appointed UKAS body. “Currently, the list of Approved Contractors on the Security Industry Authority website is the only defining measure for companies providing security personnel, for their client to refer to. “The SIA website includes a page on the Benefits of using an Approved Contractor and opens with the following ‘Choosing an ACS accredited supplier for the provision of your contract security services will help you to meet your security obligations to your staff, shareholders and other stakeholders.’ However, many end users of contract security services believe that as long as their security officers are licensed they meet the required criteria and legal obligations. “The ACS scheme requires continual improvement by its members, year on year, to maintain their current score and this is proven by the fact that 5 years ago, to reach the top 15%, companies were required to achieve a score of +74, out of a maximum 154; this has now risen to +128 out of a maximum 174. To continually maintain and improve these standards is expensive in both time and money. On top of the SIA application fee and annual payment to the UKAS body to carry out the assessment, each company is required to pay £15 per licensable employee every year. “Having recently spoken to several contract security companies, who hold Security Industry Authority Approved Contractor status (SIA ACS) and achieved a score in the top 15%, we have found that they are often required to educate their prospective clients on the ACS scheme, and the difference in the scores that can be achieved. A company that achieves a score of 0 or +174 both hold the same accreditation but, it is obvious that there is a vast difference in their operating practices and standard of service. “For example, the owner of one regional Security Company stated that the last 3 tenders he had submitted did not ask whether the company was SIA ACS accredited. When he did raise the issue of the ACS score his company had achieved at the presentation, the prospective client had assumed that any company with ACS approval met exactly the same criteria! Another company, which specialises in Door Supervision, stated that once they had achieved their ACS accreditation they were happy just to maintain it and did not worry about increasing their score as their clients never asked about the scheme and many did not even set it as a minimum requirement for gaining the contract. “We also found that the Approved Contractor accreditation is not a requirement for contract security services provided for many local councils and government departments, although you would expect this to be the minimum criteria required in order to be awarded such a contract. “There are now 798 contract security companies who have achieved Approved Contractor Status with a further estimated 1,200 companies operating without the accreditation. “The ACS Pacesetters, which promotes the contract companies who have achieved a score in the top 15%, and Infologue Star Performers, which promotes the companies in the top 5%, have gone some way towards this but, the contract security companies that we have spoken to would like to see more promotion of the ACS by the SIA, to the buyers of security. They want the clients to understand the content of the self-assessment workbook and scoring system and what is involved to enable them to reach their individual score.